"THE SACRED & THE PROFANE"
ZLR celebrates five years of jewellery art exhibitions at Munich Jewellery Week (2015-19) and grants three awards. The awards - three individual artist residencies in Greece - may boost the jewellers' imagination and enrich their understanding of the meaning and uses of jewellery. 1ST PRIZE: A one-week artist residency in a downtown Athens flat+studio (7 days/6 nights) with curated visits in world rank archaeological sites, museums and jewellery collections. The residency week also includes a curated 4-day solo show in an Athens art venue supported by expert communication/event promotion. 2ND PRIZE: A one-week artist residency in a downtown Athens flat+working studio (7 days/6 nights). 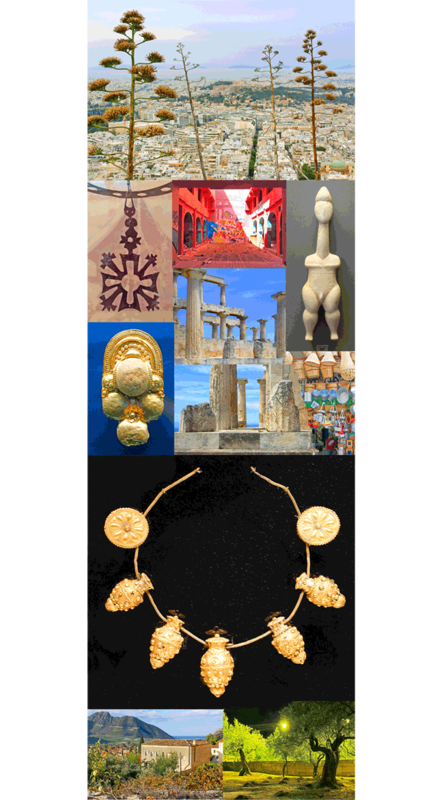 The Artist Residency includes one curated visit in world rank archaeological sites, museums and jewellery collections. 3RD PRIZE: A one-week artist residency in a 19th century mansion (individual flat+working studio for 7 days/6 nights) in Leonidio, Arcadia / Greece. The Artist Residency includes one curated visit in local 18th century monuments and museums. Fabiana Gadano (Argentina) / Mario Albrecht (Germany) / Ildikó Dánfalvi (Hungary) / Silke Spitzer (Germany) / Sharareh Aghaei (Iran/Germany) / Julia Obermaier (Germany) / Xihan Zhai (China) / Kira Fritsch (Germany) / Gabriele Hinze (Germany) / Sofia Eriksson (Sweden) / Zeyun Chen (China/Belgium) / Laila Marie Costa (Australia) / Asa Elmstam (Sweden) / Monique Lecouna_ (Argentina) / Annemiek Steenhuis (Netherlands) / Andrea_Auer (Austria) / Yael Friedman (Israel) / Yiping_li (China) / Edwin_Charmain _ (Indonesia/UK) / Lauren Kalman (USA) / Irene Palomar (Argentina) /Lilith Becker (Germany) / Chloe Valorso (UK)­/ Bettina Ulitzka (Germany) / Julia Obermeier (Germany) / Alexandra Hopp (USA) / Rachael Colley (UK) / Judy McCaig (Scotland) / Tatjana Giorgadse (Georgia/Germany) / Doris Betz (Germany) / Rho Tang (USA) / Nicole Polentas (Australia) / Christian Kiseno (Colombia/Venezuela) / Jose Garcia Martin (Spain) / Sebastien Carré (France) / Dania Chelminsy (Israel) / Hebe Argentinieri (Argentina) /Elin Flognman (Schweden) / Nicola Heidemann (Germany) / Nanna Doll_Germany). 1ST PRIZE: Christian Kiseno (Colombia/Venezuela) for his arte_povera like work made with basics and for his understanding of the artist’s role as a political being. 2ND PRIZE: Yael Friedman (Israel) for her work on nature’s reproduction reproduced by 3D printing which reminded us of a fascinating fusion of the worlds created with lines by M.C.Escher and with words by Italo Calvino. 3RD PRIZE: Dania Chelminsky (Israel) for promoting ideals of non-conforming beauty that are endangered in Europe nowadays with racism against the “non-normality” growing. 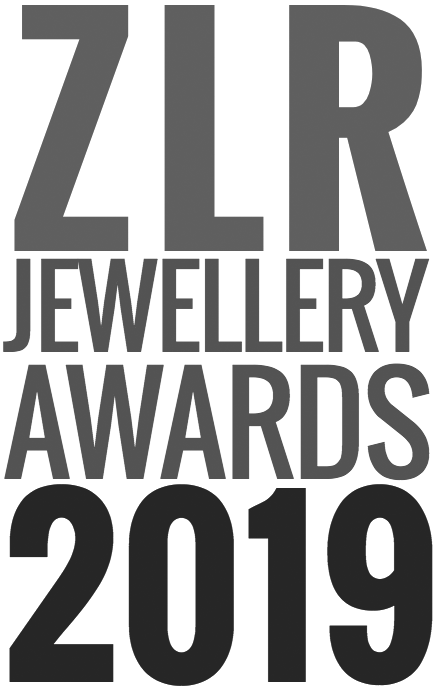 The winners of the ZLR Jewellery Awards were announced on Saturday 16 March at Galerie Weltraum, Rumfordstraße 26, 80469 Munich. Find more information and images >>> here. Politics, nature, beauty will always be a top priority for us as visual artists and curators! It was very difficult for the six-member-jury to meet a choice. We wish we had forty artists residencies to give to the forty amazing jewellery artists who honored us with their trust and enthusiasm. A big Thank You! to all of you for making this event happen!